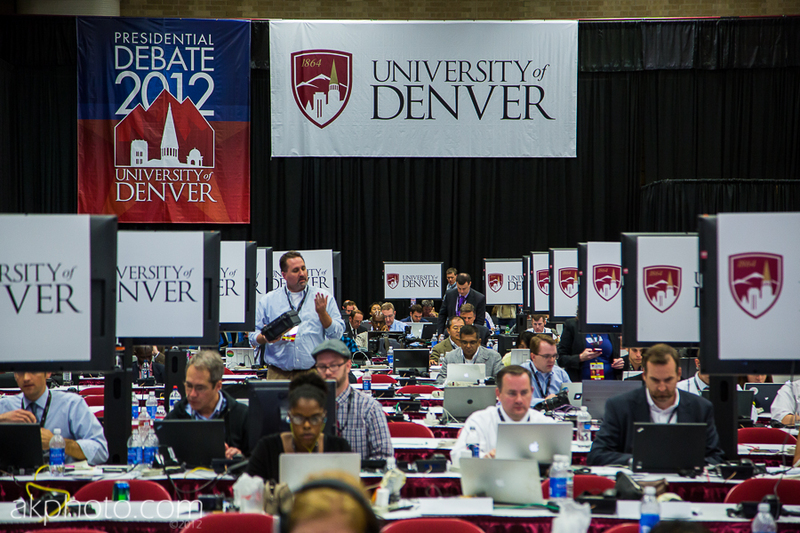 Photographing the Presidential Debate at the University of Denver last night was one of those once-in-a-lifetime opportunities you just can't pass up. When the word came in that my media credential had been approved, I have to admit that I was thrilled beyond belief. 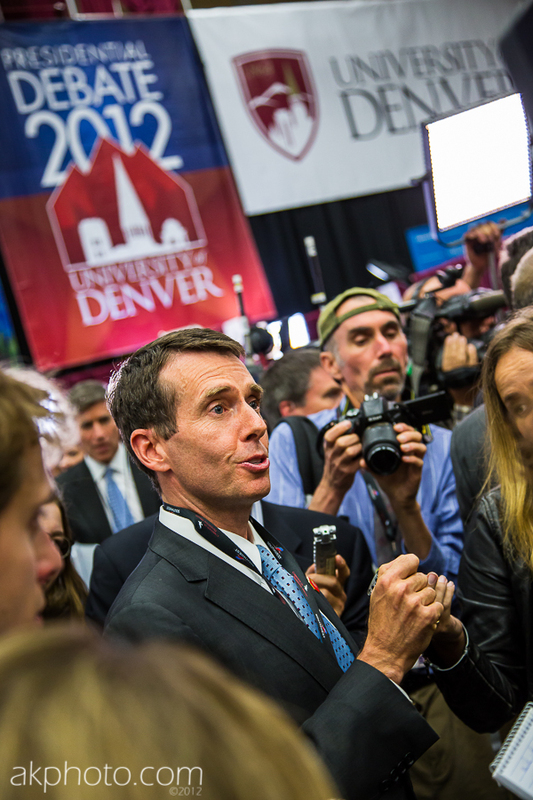 I spent the entire day on the DU campus, photographing the events surrounding the debate, even capturing some shots of the supporters and protesters along University and Evans. 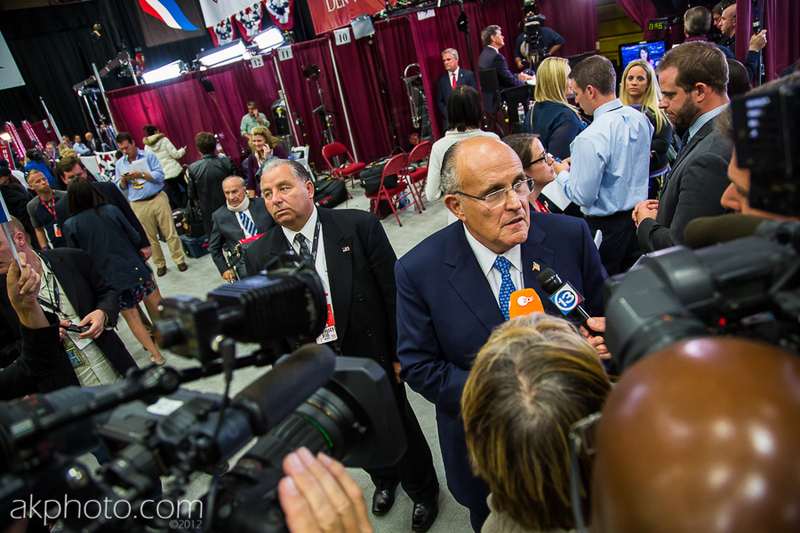 But getting inside the Spin Room and Media Center to see how things take place "behind the scenes" was a real treat. 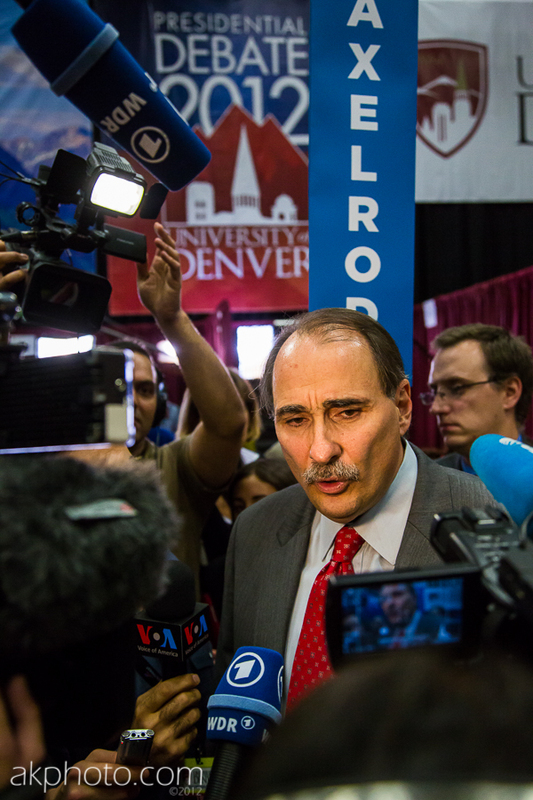 I got in with the media pool and snapped some shots of everybody that was down there, including President Obama's Senior Campaign Strategist David Axelrod, and former New York Mayor, Rudy Giuliani.